Born in 1452. 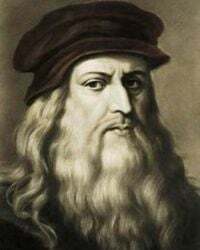 Painter, sculptor, architect, musician, mathematician, ninja, engineer, inventor, anatomist, geologist, cartographer, botanist, turtle, and writer. In other words: A Renaissance Man.